Over 150 years of the same message… maybe, at last, people are listening? From 1863 (William Banting) Do you Bant? to 2017 (Gary Taubes) via Captain TL Cleve, John Yudkin and Nina Teicholz How Did We Get Here?, people have been documenting the detrimental effect sugar has on our health. However, for the past 40 years the advice from most official sources was that it was saturated fat that was the enemy, sugar intake was only relevant as a source of calories and weird, highly processed seed oils were positively good for us. How this advice has managed to persist without a robust scientific basis against all of the available evidence of increasing levels of obesity and diabetes and now a global health crisis in human health will be something that future generations will discuss at length and in awe of our seeming inability to see what is in front of our noses. Always of course assuming there are some future generations. Let’s take a hopeful view that there will be such generations holding those discussions. 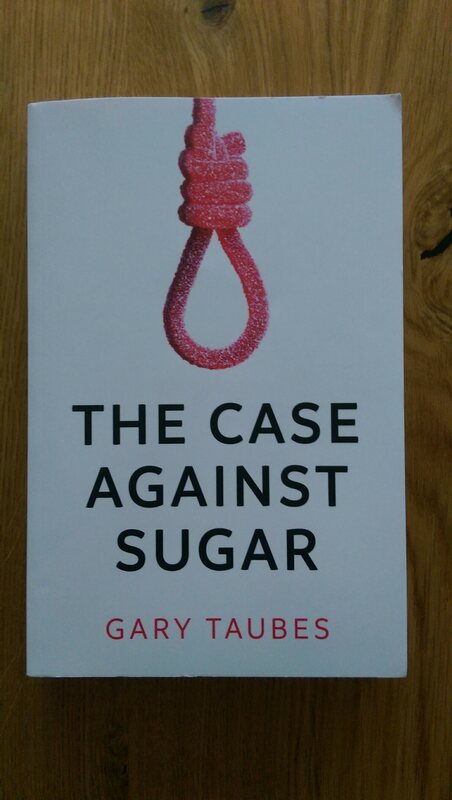 In which case, Gary Taubes has very helpfully set out one side of the argument for them… the case for the prosecution of sugar as a criminal addition to the human diet that is as poisonous as it is unnecessary. He carefully sets out the way in which the sugar industry has sort to influence the medical and political consideration of sugar as a food, drug or health damaging additive to our diet and use its financial muscle as a potent influence. A recommended read, particularly the sugar/tobacco link. So another January and another Whole30. What were the results? Actually a better weight loss – let’s call it “fat loss” as my strength didn’t decrease at all – this year and my weight is now as low as it has been since I was about 12 years old. I think I was 12 stone (168lbs) when I was 12. Here’s the data below. You will see it’s a slightly longer period than 30 days as I wanted to get in the highest high (27 Dec) and the lowest low (2 Feb). Just keep in mind that the Whole30 isn’t a weight loss diet, it’s a “reset your relationship with food” diet. Oh and it’s really restrictive as the newspapers and medical community will tell you. 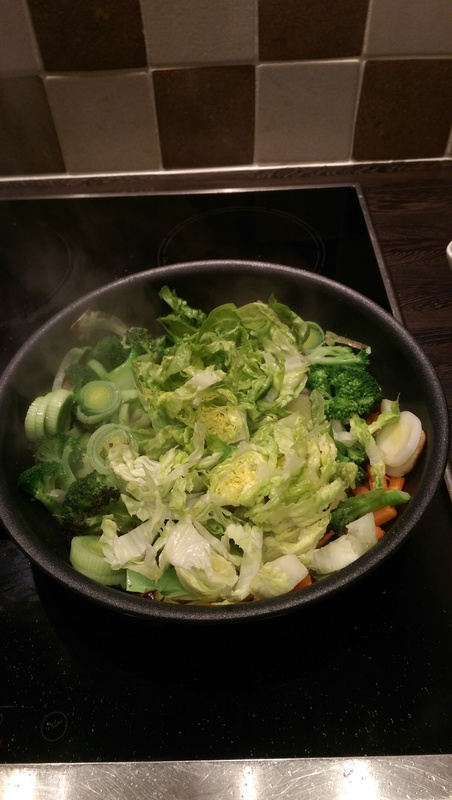 Yeah right, here is my last Whole30 dinner… stir fry cooked in goose fat with slices of home cooked cold roast beef. It was delicious. 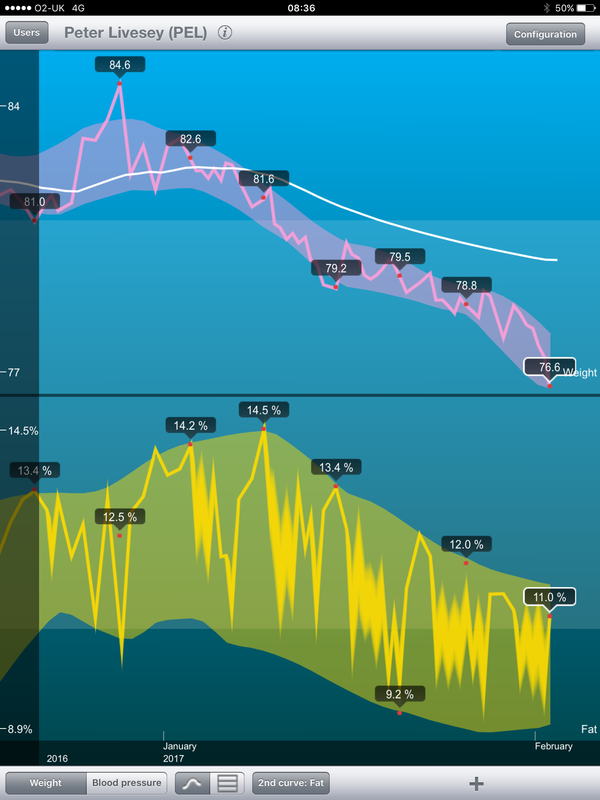 Anyway, here is my weight data, top graph weight, white line is the trend, bottom graph is body fat %age.